Enjoy a fab-tastic fashion adventure! Lights, camera… GLITTER! 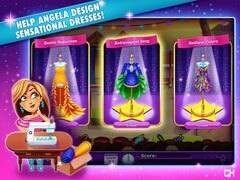 Help Angela design sensational dresses in a new time management story from the creators of Delicious! After a horrible breakup and losing her job, Angela finds herself almost giving up on her dreams. That is, until Truly, the famed fashion queen, chooses Angela as one of the seven finalists to compete in a contest to take over her crown. As Angela basks in the world of fashion filled with glam parties, five-star hotels, and sneaky hookups with celeb crushes, all the stars seem to align. But all is not what it seems. Can Angela handle the bitter secrets that lie in her journey toward becoming the next fashion it-girl? 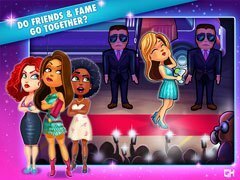 Play Fabulous – Angela’s Fashion Fever! to find out!